Dr. Ryan Martin is an Assistant Professor in the Department of Biology at Case Western Reserve University. He received a B.S. in Ecology and Evolution from the University of California, Santa Cruz and was awarded his Ph.D. in Biology from the University of North Carolina at Chapel Hill. Afterward, Ryan conducted postdoctoral research at North Carolina State University and the National Institute for Mathematical and Biological Synthesis in Knoxville, TN before accepting a faculty position at Case Western where he is today. Ryan is here with us today to tell us all about his journey through life and science. Ryan recently moved to Cleveland and has been enjoying exploring the city and trying new restaurants with his fiancée. They also love to go hiking with their dogs, and Ryan has been honing his photography skills. 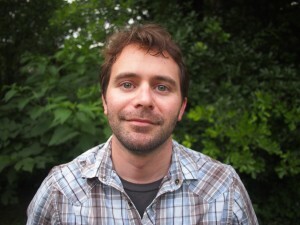 As an Evolutionary Ecologist, Ryan is interested in animal diversity and design. Animals seem to be well adapted to their environment, and Ryan works to understand how diversity, adaptation, and design occur through the action of natural selection. He investigates how the presence of predators, weather conditions, and other environmental features change the way animals survive and produce offspring. As a kid growing up in Massachusetts, Ryan always liked being out in nature but he wasn’t exactly doing science experiments in his backyard. In school, Ryan was good at biology but wasn’t interested in working in a lab all day everyday studying cells and genetics. When he went to college at the University of Santa Cruz, he was introduced to evolutionary ecology and the excitement of research. The transition from undergraduate to graduate student was challenging for Ryan. In his first year in graduate school, Ryan did an experiment on tadpoles to determine if they can recognize their kin and whether that affects how they compete for resources. The experiment worked beautifully, but there were null results and he had nowhere to go with the project. He struggled to come up with a new project, felt like he had run out of ideas, and spent an entire summer avoiding his advisor. This past summer was really fun for Ryan. He and his new lab members had plans to complete multiple projects, and it was a race against time because they had to wait for it to rain and then collect all their data quickly. As the start date of a conference approached, they realized there was no way to get everything done before they had to leave. However, a group of fantastic interns at the field station came to the rescue. They did a great job of wrapping up some of the projects, and the summer field season was a big success. As a postdoc, Ryan conducted research on mosquitofish in The Bahamas. The islands had gorgeous coastlines and coral reefs, but the mosquitofish live in blue holes which are vertical, water-filled caves in the middle of the island. Getting to the interior was really difficult because it was relatively uninhabited, and they had to drive 10 miles on rough roads, followed by a 3 mile hike through dense pine and poisonwood (relative of poison ivy). However, seeing the beautiful, crystal-clear water and seemingly bottomless blue caves made it all worthwhile. Ryan and his lab members are developing a unique way of sharing their successes in the laboratory. Basically if a lab member gets a paper published, grant funded, or other recognition, they have to treat the lab to lunch or dinner. The magnitude of the purchase depends on the level of the accomplishment, and they have put together a complex ranking system. This way, people are less likely to get overly jealous or competitive because everyone wins when someone in the lab is successful. If you have an idea that you want to pursue, don’t get to attached to it. Consider all your ideas and let the best one win out. It is also important not to get so focused on one thing that you forget how it relates to the rest of the world. 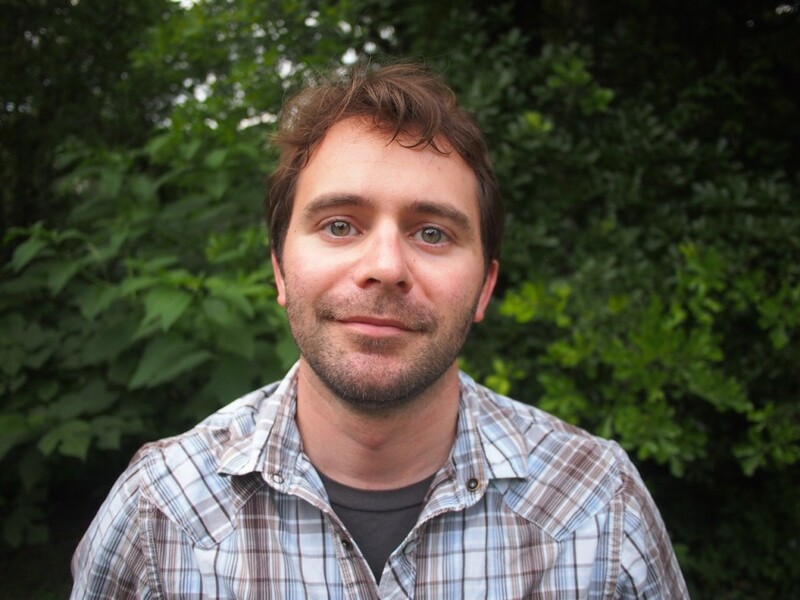 Ryan’s research interests center on understanding the role of ecological interactions in phenotypic evolution. He uses a combination of measurements and observations from natural populations, manipulative experiments in both the field and lab, and meta-analytical techniques to understand how and why organisms adapt and diversify in response to ecological variation. Recent projects include studying the evolution of resource polymorphism and character displacement in spadefoot toads, divergence and speciation of freshwater fishes inhabiting Bahamas blue holes, and meta-analytical approaches to better understand the causes of natural selection in the wild.